Expecting guests for dinner? Well, your dining room is just not complete without a delightful collection of chairs. 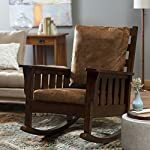 Whether you are looking for vintage dining chairs that will add a vintage style look to your home décor or to expand the assortment of old furniture or to match with your vintage table, finding the right sets is the primary challenge. In the market today, there is a broad range of vintage dining chairs in lots of different shapes, styles, and materials and choosing the right set can be daunting if you don’t know what to look for. Some of the factors to consider are size, comfort, style, material, quality, and type. 3. How do you want your dining and kitchen areas to feel? We have prepared this buying guide to talk you through some of the main factors that you need to consider when picking your ideal chair. 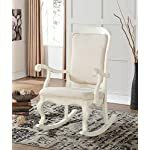 If you are planning to buy the vintage dining chairs on multiples, you should know that they a dramatic effect upon the entire look of your house. Hence, they should be selected wisely. 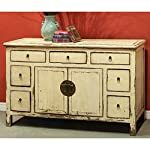 Most people often neglect size since it is the least desirable part of the furniture purchasing process. 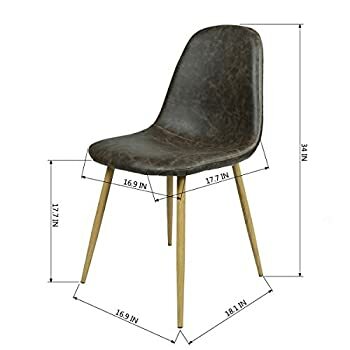 But before you even go searching for dining chairs, you need to define the size you will want. In this case, you have to consider the size of your room and the space around your table. You also need to decide where you will put any additional chairs if your table isn’t fully stretched all the time. You will need to estimate the length and the width of your room from wall to wall. Also, you need to measure the dining table to know the exact size and the number of chairs you can accommodate in the dining room and around the table. Ensure there is enough space in the dining room for quick access and walking, plus for enough space to pull your chairs out. You can allow for at least 32- 36-inches of space around your dining table or more if you have the room and need things to feel more spacious. 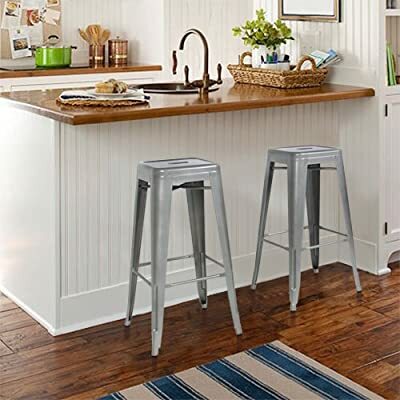 If you are furnishing a small kitchen, you can consider Vintage Stools (they occupy small room allowing ample space for easy access and walking). Question 1 Which dining table style do you prefer? 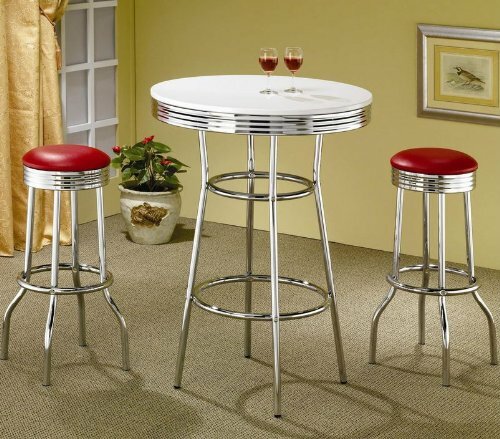 Question 2 Are your looking for that retro modern metal feel for your kitchen nook? 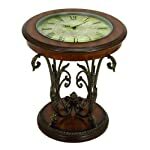 Or are you looking for that traditional yet stylish wooden look? 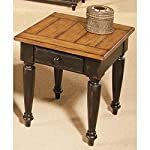 Or a more solid, dark, family farm table design? Question 3 Does your house have a modern feel that you would like to carry over into your dining area? If you are looking for a modern design, choose something that reflects your style. And if you prefer a more classic look, go for something traditional. These questions will surely save lots of your shopping time if you consider them wisely. There are solid backs chairs, and there are chairs with open backs. If you have a smaller space, consider free style chairs and if you have a large area, find the ones with bigger and distinct shapes. 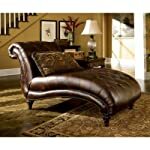 In this case, you can consider if you want your room to be formal, semi-formal, or casual. 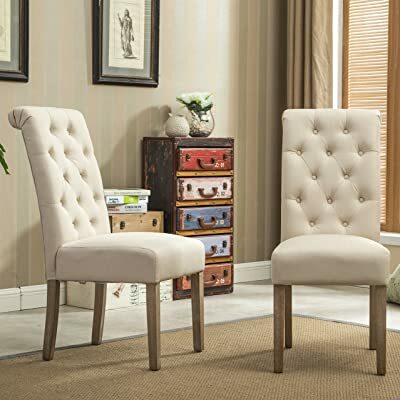 If you prefer formal, you can try upholstered dining room chairs. If you want semi-formal, you can try leather seats which don't need much care. 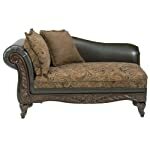 If you casual, you can try wood or wood with removable upholstered seat covers. Everyone has different comfort priorities hence it is tough to define what will make you feel comfortable. When shopping in the store, you can sit on the chairs to see how it feels. So, is it warm and broad enough? And how does the back feel once you lean back against the seat? Is the seat too low or too high? 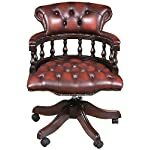 If the chair is upholstered, there should be adequate padding so that you don’t feel the frame via it. 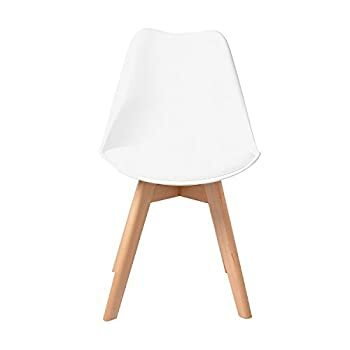 In short, the seat should feel comfortable when you sit upon especially if your dining chair also doubles as the home office chair. 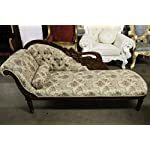 If you want something to relax on after having your dinner, consider the Vintage Rocking Chair or Vintage Chaise Lounge. 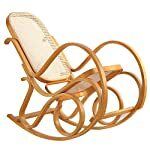 Another important factor to consider is the material of your vintage dining chairs. 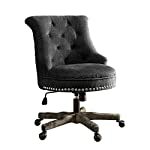 It also determines the look and feel of the chair. 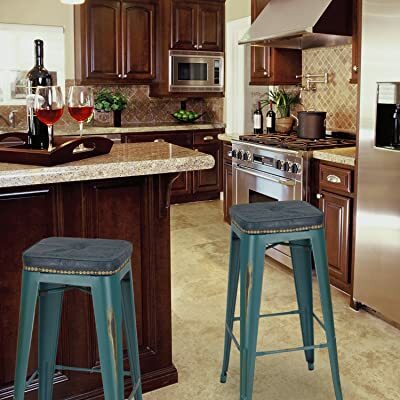 Chairs made of faux leather are easy to wipe clean and are a perfect choice for your kitchen, and also delivering both convenience and elegance. 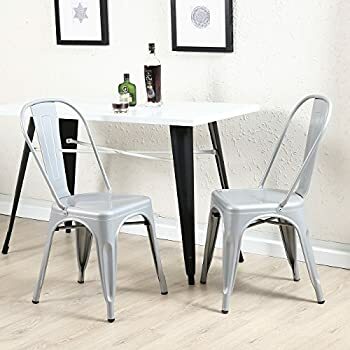 Acrylic dining chairs can also look good in a contemporary or small space. Chairs made of wood features a more traditional charm, at the same time offering a functional and resilient option. 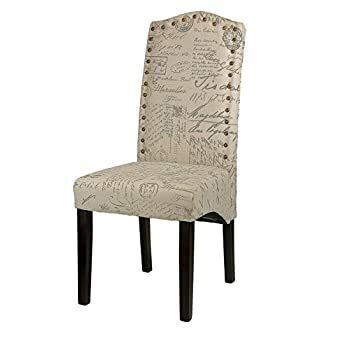 The Belleze Vintage Style Dining Chairs are an excellent choice if you want to add a classic charm to your dining or kitchen décor. 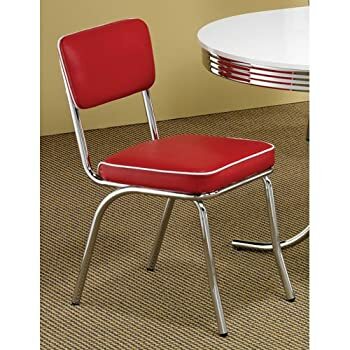 These retro dining chairs feature a high back which provides an additional support required down there at the center of your spine to help safeguard against aches and fatigues. 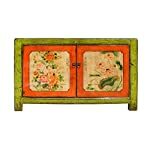 They are lightweight hence easy to transport and conveniently store. 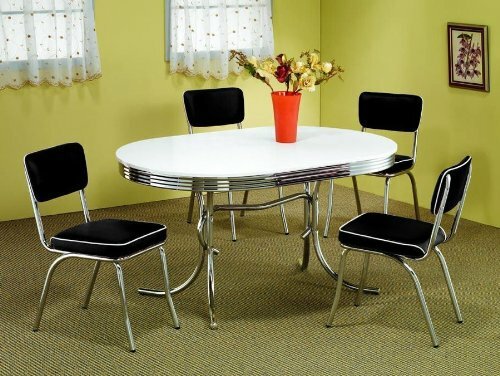 These retro kitchen chairs will surely infuse your dining room or kitchen with a modern style. 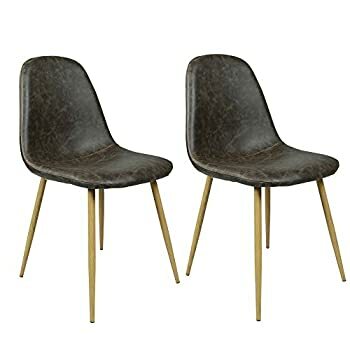 These vintage dining chairs possess an upholstered design with a solid steel construction that makes them sturdy and a great addition to any modern and traditional décor. Also, they feature a scratch and mar resistant powder coat finish that makes them easy to clean and maintain. 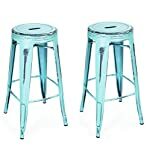 These chairs come equipped with non-marking plastic feet that protect your floors from scratching when you pull the chair. Each chair comes fitted with a brace under the seat which gives additional support as well as stability. The greatest part about these seats is that they arrive fully assembled meaning you can place them to use right away. 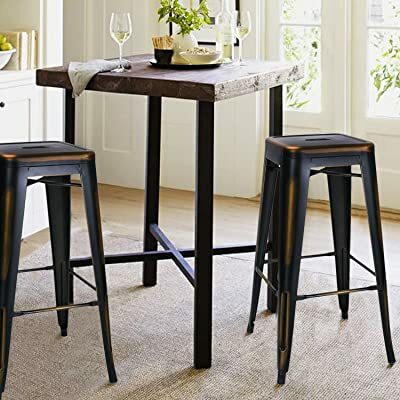 These chairs are robust enough to hold up to 330 pounds. These chairs are available in different colors allowing you to customize to the style and color that you desire. These vintage dining chairs are ideal for indoor and outdoor use. 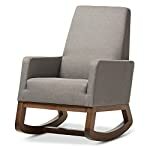 These chairs are good quality and worth the price. They look stunning and well made. 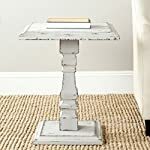 The silver fits perfectly with other galvanized touches very well. They are durable and affordable. They are a bit small for adults. 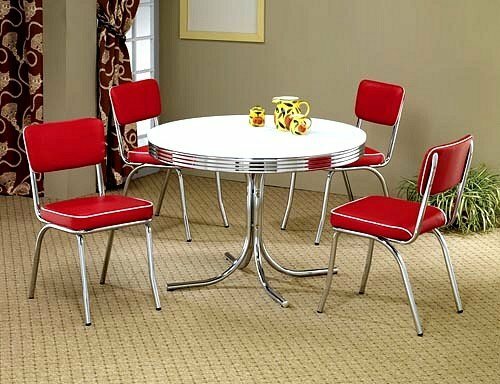 Enjoy a relaxed yet a distinctive look in your dining room or kitchen with the retro designs of this retro side dining chairs. 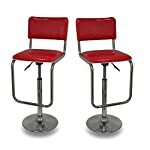 These retro dining chairs feature a chrome plated frame with a red cushioned seat that provides you a 1950s diner look that you don’t want to miss. 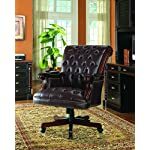 These chairs feature a well-padded seat back which provides an additional support and good posture hence preventing any back pains and fatigues. They are lightweight hence are easy to transport and compactly store. 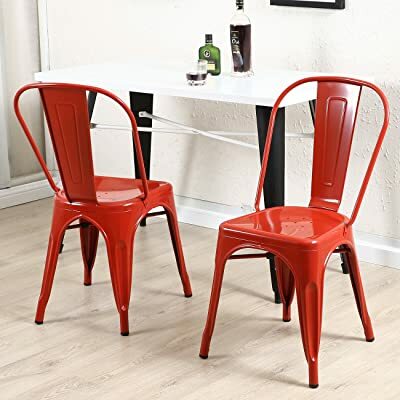 These retro dining chairs are available in red or black color allowing to choose the style and color that matches your home décor. 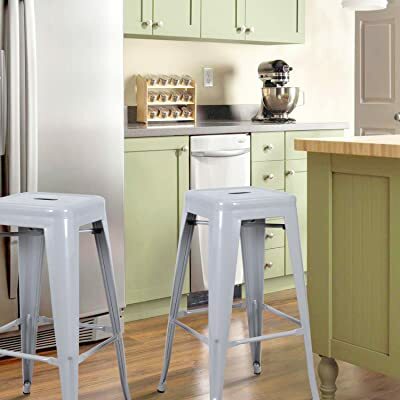 These retro kitchen chairs are easy to put assemble, you don't have to suffer significant costs finding an expert. They are attractive and well-designed. They are a bit hard to put together. 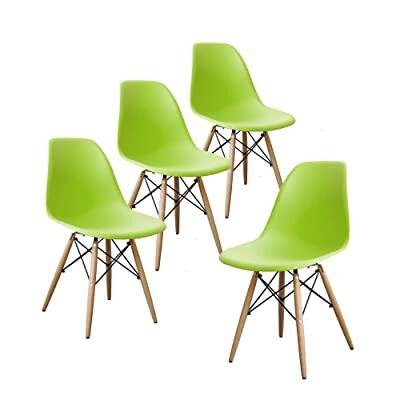 Enhance your dining room or kitchen with a modern look infused by these mid century dining chairs. These vintage dining chairs feature a sturdy construction, thanks to its high-quality wooden legs and the wire metal Eiffel Dowel base. 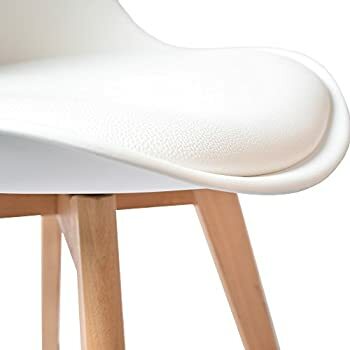 These flawless armless seating alternatives are uniquely crafted with HQ polypropylene (a non-toxic molded plastic) seat that makes comfortable to sit on for an extended period and are easy to clean. 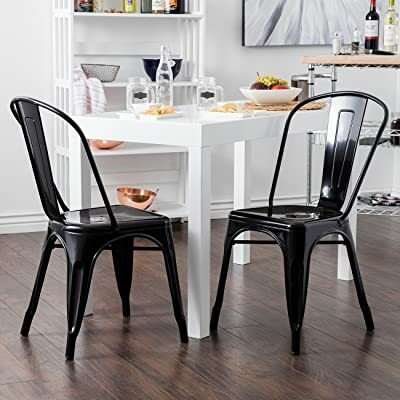 These mid century dining chairs feature a matte finish that adds a classic charm to your home décor. 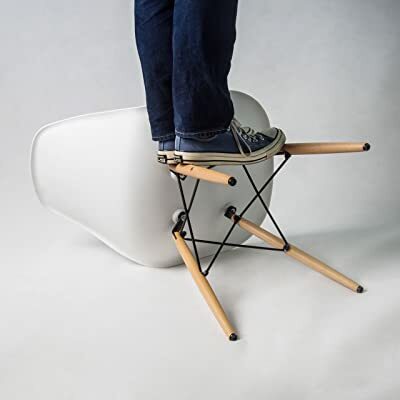 They are sturdy enough to an extension that they can hold up to 330 pounds. 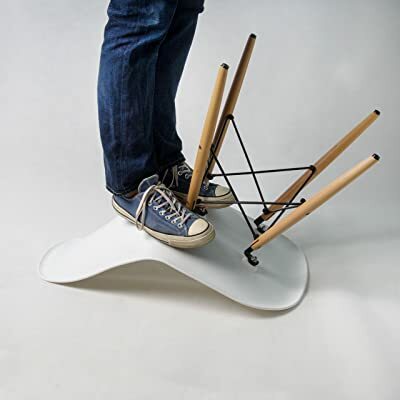 These chairs come fitted with floor protectors and easy to assemble. These vintage dining chairs are available in different colors allowing you to choose the right color and style that matches your home décor. 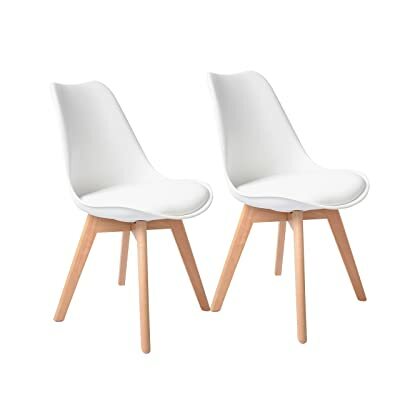 This flexible set of 2 white, Eames-style side dining chairs is an excellent choice if you have a small family in a contemporary home. 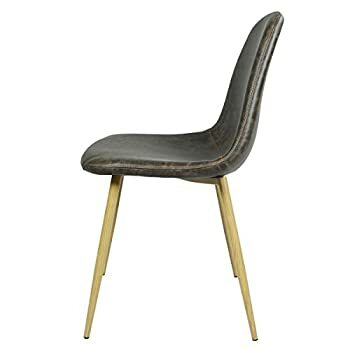 You can use these mid century dining chairs in every corner of your house like the waiting room, lobby, or even at the reception. They have a superior design and looks stunning. They are sturdy with excellent materials. 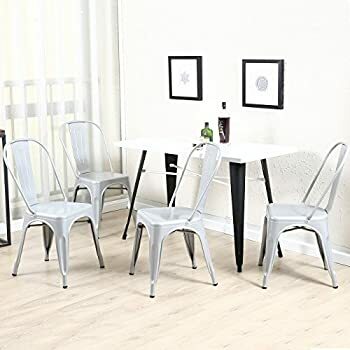 These chairs are good quality. They are comfortable and easy to clean. They are slippery on wooden floors. 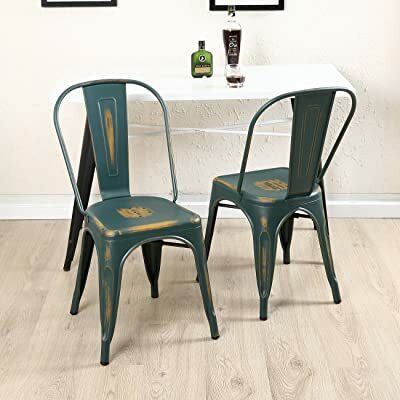 Add an elegant charm to your living room, dining room, or kitchen with this antique side dining chairs with strong metal legs. 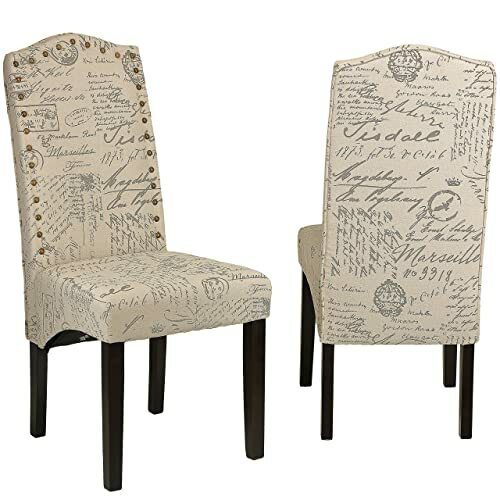 These vintage dining chairs feature PU cushion seat and back that offers an additional support and good posture. 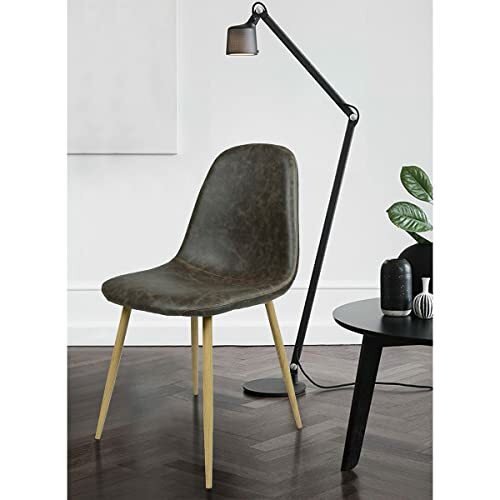 These Eames style sided chairs feature robust metal legs that make them sturdy and comes fitted with a solid X-shape support that provides additional support and stability. 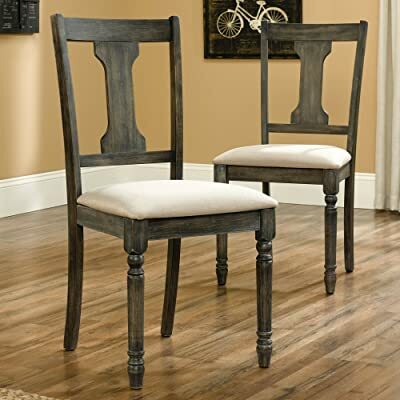 Also, these antique dining chairs come with a wood grain paint finish that will add a classic touch to your dining room. 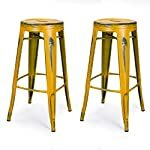 The bottom of these chairs comes fitted with plastic, nice soft rubber floor protectors that offer a sensitive flooring. These vintage dining chairs feature 16.92-inches length by 17.72-inches width by 34.25-inches height. They are lightweight hence easy to transport and compactly store. They are easy to assemble and very easy to clean. 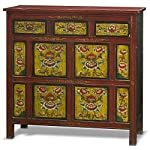 They are suitable for the dining room, guest rooms, and even vacation homes. 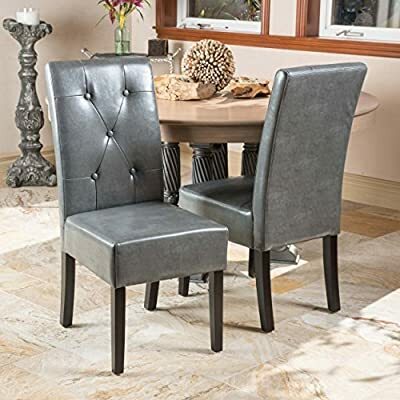 These antique dining chairs come in a cappuccino finish with solid wood legs that makes them sturdy and a great addition to your dining room or living room. 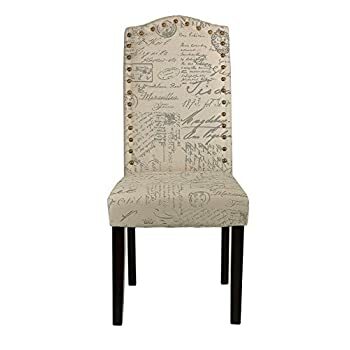 These retro dining chairs are upholstered in the beige script linen fabric with a brass nail head trim that will add a traditional charm to your home décor. 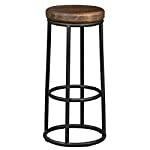 They provide a high back support with a robust wood frame for an additional strength and durability. 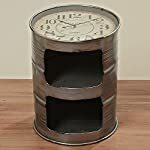 They are lightweight (weighs 15 pounds) hence are easy transport and conveniently store. They are very easy to assemble once you receive them. These vintage dining chairs measures 18-inches width by 19-inches length by 39-inches height. They are effortless to assemble. They are attractive and well designed. They are a bit short. The overall winner of vintage dining chairs is Coaster Home Furnishings Contemporary Dining Chair. 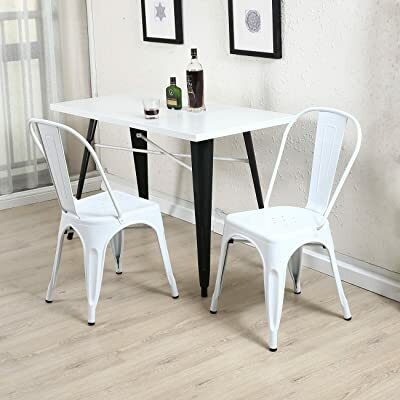 Enjoy a relaxed yet a distinctive look in your dining room or kitchen with the retro designs of this vintage side dining chairs. 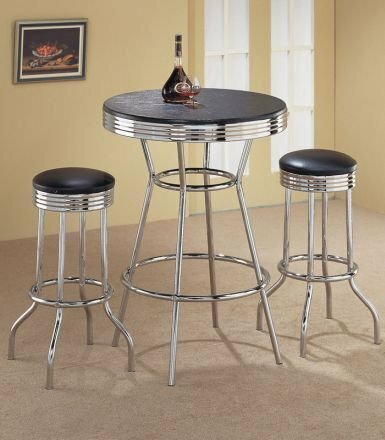 They feature a chrome plated frame for additional strength and stability. 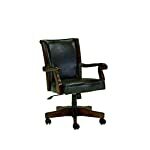 Also, padded seat back which provides an extra support and good posture hence preventing any back pains and fatigues. 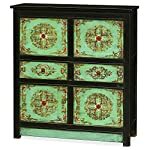 They are available in red or black color allowing to choose the style and color that matches your home décor. 15. 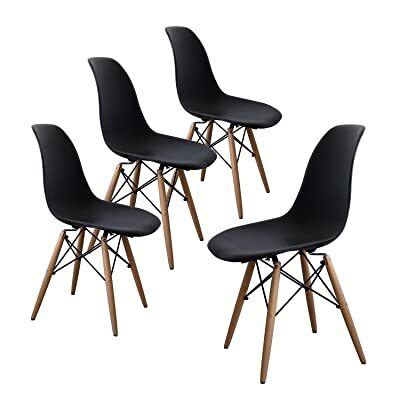 Tabouret Stacking Chair (Set of 4). This Set Of Dining Room Chairs Is Perfect For Adding A Vintage Look To Your Home. 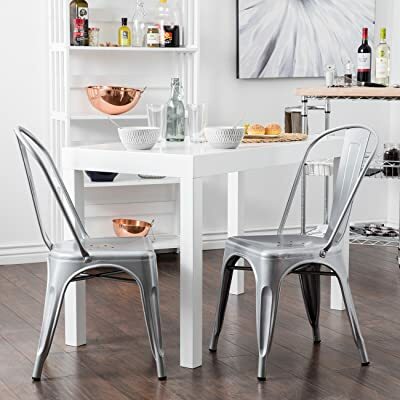 Crafted With A Solid Steel Construction And Coated With A Scratch-Resistant Finish These Chairs Will Last In Quality In Style.